Before Marvel fans assemble across the globe to watch the biggest on-screen battle between superheroes like Iron Man, Captain America and Thor, and super villain Thanos, they are coming up with fun theories. 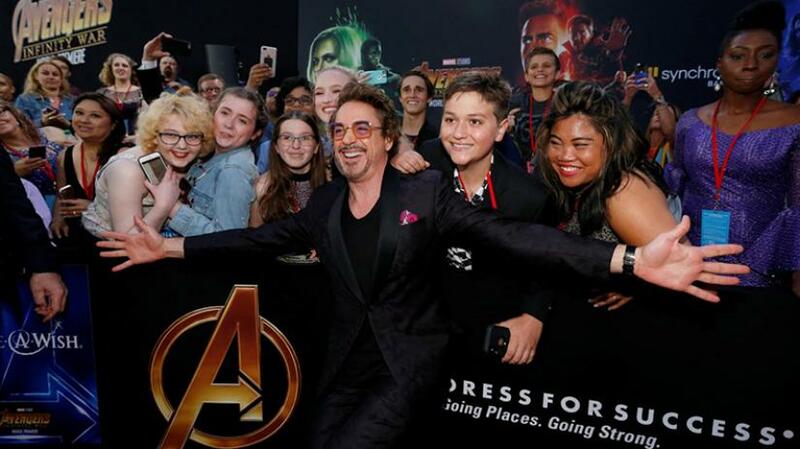 Robert Downey Jr., one of the lead actors of "Avengers: Endgame", has a favourite, and says this is exactly what's going to happen in the film. Downey Jr., who danced his way through the promotion of the Russo Brothers' directorial here on Monday (Apr 15), gave a thumbs up to one fan theory. "My favourite is Ant-Man goes up Thanos' b***' and makes himself grow big and that's exactly what happens," the actor, known for his witty humour, said in Seoul, South Korea while promoting the film. Calling the theories "hilarious and completely crazy", their co-star Jeremy Renner added, "People have invested in the stories and characters. It makes me feel proud to be a part of it."